As a small business owner, I’m always looking for ways to give my customers a great end product without added expense to my bottom line. I know many other small business owners have a similar need so I thought I’d share update I recently made to my packaging. I’ve always provided my photography customers with digital images rather than prints. When I first started out the media of choice was CDs, so I found a free template online and altered it to fit my needs so I could print covers for the jewel cases I put the CDs in. My customers really liked this packaging and it was fairly low cost for me, especially when I shopped sales or used coupons for the CDs and cases since I could print the cover on my home printer. Soon CD’s gave way to USBs as the preferred media. I would have loved to order custom USBs with my logo on them, but that would have required me to raise my rates to cover the huge expense. Since I like to work with DIY clients who need an affordable photography option that didn’t fit my business model. 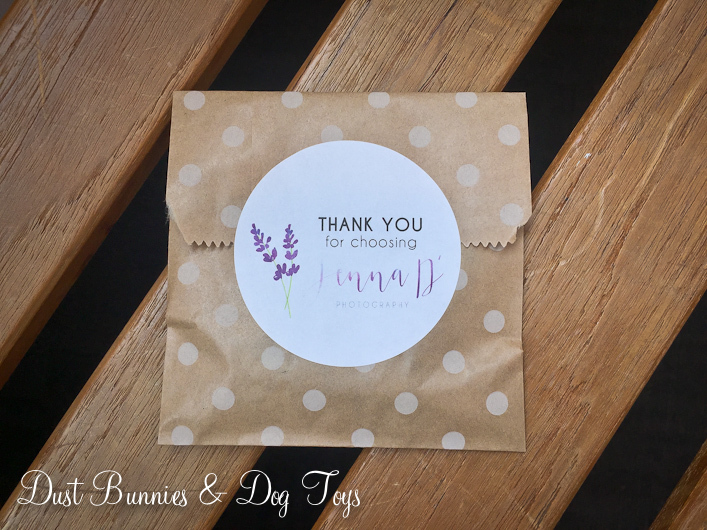 So instead, I came up with a simple option using materials I already had on hand – a bulk lot of kraft favor bags and Thank You stickers. Using items I already had meant this new option was free for me (except the cost of the USB), but I knew my stash of materials would eventually run out and I wanted to have my brand represented like I did with the CD covers. 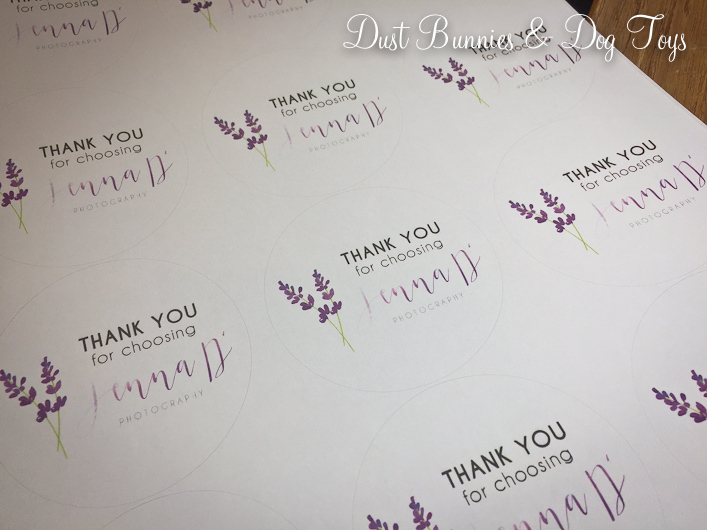 So I picked up some circular labels and designed a “Thank You” message with my logo that I can still print at home. My customers who have received the new packaging have all really liked it. The pack of labels only cost me $10 and will provide about 100 labels so with the kraft bags I bought in bulk, it only cost me about $0.25/packaging. I originally purchased the bulk lot of kraft bags in three patterns a few years ago on one of the daily bargain sites I follow. I’ve used some for other projects before this so my inventory is limited but should still last a while. In the meantime, I’m on the hunt for another bulk offer so I can replenish my inventory. I’m pretty proud of the end result as it shows off my new branding and keeps cost down so I can continue to offer the rates my customers need. 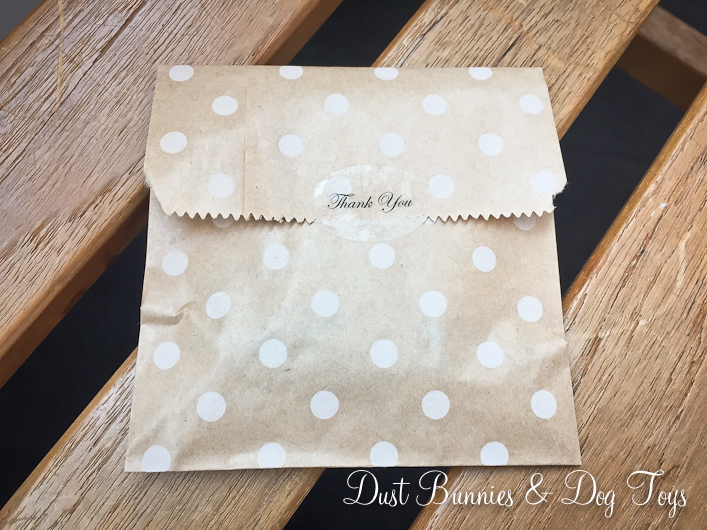 I’d love to hear what you think of my low-cost DIY packaging option, so leave me a comment below! Next Big Plans for the Coop!